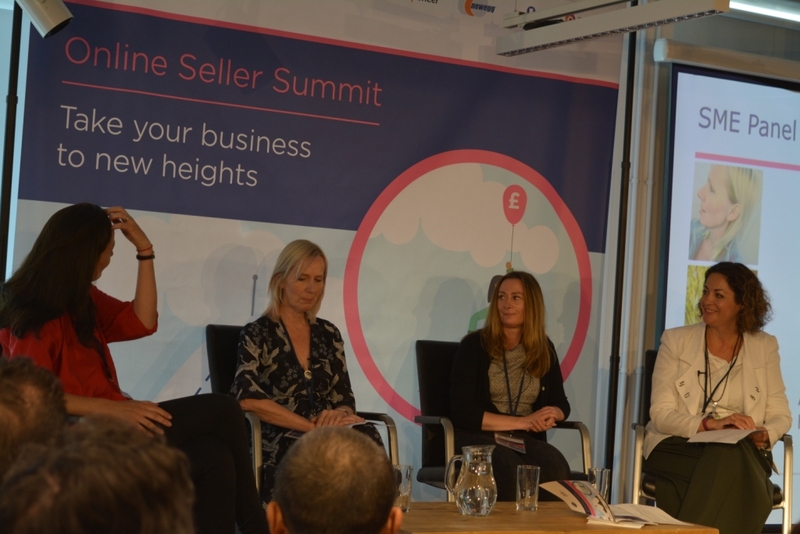 London Online Seller Summit 2018, held in collaboration with GS1UK earlier this month, went fantastically well with 12 practical and informative talks around e-commerce. We heard nothing but good feedback and those attendees took away lots of actionable points to improve their online business. See below speaker slide-desks, and to be informed of future events, please subscribe to our newsletter. – Gerry has worked in the digital sector for over 15 years, mainly in SEO. -He’s worked with some of the biggest global brands including Premier Inn, Mcdonalds, Childline, Weightwatchers and more. -His experience covers app, migrations, international and more! -Emma is the founder of Enterprise Nation, business expert and author. -Since launching in 2005, Enterprise Nation have helped thousands of people start and grow their businesses. -In November 2015, Emma was appointed by the UK Prime Minister as a Business Ambassador. -Zakera is the Founder of Peace & Blessings, an award-winning stationery boutique. -She is also the co-founder of Insight Consultancy, which is based in DMU’s Innovation Centre. -Zakera’s area of expertise is in design strategy and branding to raise brand equity. -Alex combines an extensive IT background & years of investment banking to drive M2E’s business globally. -He has also worked with a number of successful start-ups in Europe. -Alex holds M.Sc. in Database Systems and Executive MBA from London Business School. -Ashley has 18 years of experience in sales and business development, with the last 12 years working with SaaS platforms and internet technology services. -He has worked with many of the world’s leading retail brands and retailers to launch marketplaces. -Ashley now leads partnerships for Optiseller, a new SaaS platform focused on helping brands & retailers improve their online performance. -Edward Donald is former Head of Brand Content at Sony Group, Europe. -He is now lead consultant on the recently launched e-Exporting Programme which is designed to accelerate the number of British companies that export. -The programme supports companies through a range of new products and services to help speed up market entry. -Vinny helps companies design & execute their global e-commerce strategies. -He has extensive experience in growing businesses operationally and functionally to deliver sustainable growth. -Vinny has worked in various verticals including automotive, fashion, hard goods & home.